Discover the art haven that Humboldt has become. Download our Arts & Culture booklet, a quick and easy reference. "Of the 58 counties throughout California, Humboldt County boasts more artists per capita than anywhere in the state. Here's a quick guide to some of the cultural forums that have helped earn Humboldt County this reputation. First Saturday of EVERY month. Want to know why culture guru John Villani picked Eureka as one of the best small arts towns in America? One reason is the Arts Alive art walk, which keeps Old Town & Downtown up well into the evening on the first Saturday each month. No matter what the weather, art enthusiasts can be found walking the Old Town area and its surrounds, checking out the shops and galleries for the latest exhibits, or stopping in the street to listen to the music and entertainment along the way. 6-9pm Sponsored by Eureka Main Street 707-442-9054. Second Friday of every month. Visit more than 40 locations in the downtown, Northtown, South G Street and HSU galleries for demonstrations, musical performances, dance, and fine arts by Humboldt County artisans. 6-9pm Sponsored by Arcata Main Street 707-822-4500. Third Friday of every month. Central Avenue, McKinleyville 6-8pm 707-823-2449. Humboldt County is home to hundreds of artists, and this fact is apparent when one notices the numerous murals that adorn many of the Eureka area buildings. 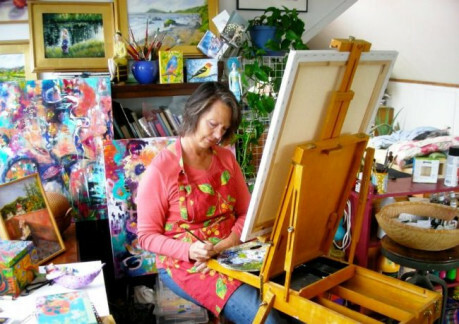 Redwood Art Association As Humboldt County’s oldest art organization, the Redwood Art Association is a group of energetic, talented and committed artists and art supporters. Our primary activity is to create and promote three large art exhibitions each year. It is part of our vision that arts are a thriving and vibrant part of our community life. Coordinates over 40 programs, exhibitions, ongoing classes and events. As the central arts agency in Humboldt County and the designated State/Local Partner of the California Arts Council, the Humboldt Arts Council has the privilege of providing leadership, programs and services to enhance the presence and vitality of the arts in the community. The Palette Magazine: The abundance of museums, galleries, dance companies, writers and poets, theater groups, musical concerts and other outdoor cultural events allow Humboldt County residents and visitors to enjoy a diverse collection of cultural activities." The Annual Palette Magazine. The Redwood Arts Guide is another source book for arts & crafts, art events, artists and galleries. 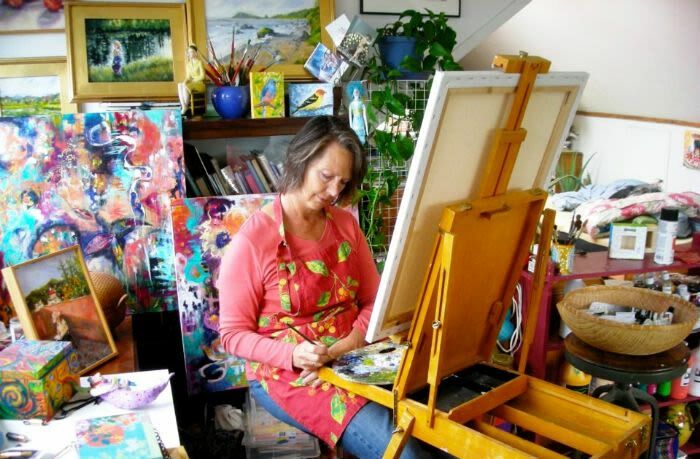 The North Coast Open Studios is an annual event that takes place every June. For two weekends out of the month you can visit local artists in their studios. Also look for the link to a list of our local artists at the upper right of this page. The oldest community theatre on the northwest coast. Season runs from October thru the Summer - presenting comedies, dramas and musicals. Dell'Arte is the United States' center for the development, exploration, training, creation and performance of the "Physical Theatre," providing performances throughout the year. Bringing fine art theatre productions of comedy, drama and musicals to the area since 1983. Performances at the Forum Theatre, College of the Redwoods, Eureka, and the Van Duzer Theatre at HSU. Van Duzer Theatre - Center Arts, located on the Humboldt State University Campus is venue to world famous and HSU's Center Arts performances. "We choose our plays with you in mind. Plays to delight and entertain you. Plays that celebrate the human spirit or illuminate the human condition beyond our own experience. Founded in 1991 as a 501(c)(3) non-profit organization dedicated to a mission of raising funds to support area programs that benefit seniors and youth programs. Organizes the annual Redwood Coast Jazz Festival.